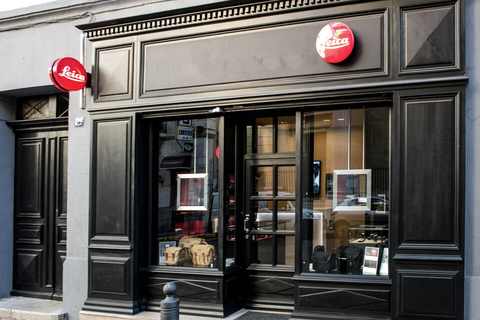 Marseille’s Leica Store is located on rue Paradis, within the Antics quarter of downtown Marseille. It lies only a few steps away from the Vieux Port and the famous Notre Dame de la Garde. 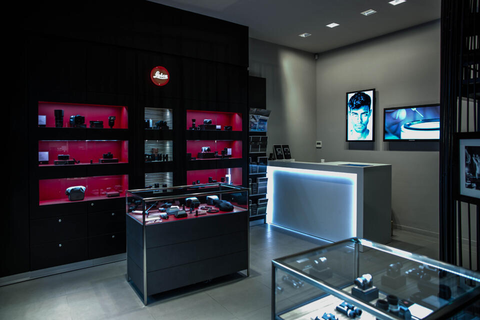 The team will welcome you and be happy to exchange views on photography and especially on the core philosophy of Leica which makes this brand a world within the world of photography. The store is also a great reference point for the best addresses in Marseille, such as printers, publishers and frame makers as well as all the must see exhibitions, workshops and other picture related projects. The Rencontres d'Arles is a summer photography festival founded in 1970 by Arles photographer Lucien Clergue, author Michel Tournier and historian Jean-Maurice Rouquette. The exhibitions, often co-produced with both French and foreign museums and institutions, are given on various heritage sites, suitably stage-designed for the purpose. The Marseille building, developed by Le Corbusier designers Shadrach Woods and George Candilis, comprises 337 apartments arranged over twelve stories, all suspended on large piloti. The building is also residence to the gastronomic restaurant Le Ventre de l'Architecte ("The Architect's Belly"), an architectural bookshop, sporting as well as medical and educational facilities and a hotel which is open to the public. To love Marseille means to love the Mediterranean, inseparable from the city, just like Gérald Passédat’s cuisine. And you can still enjoy these heavenly views from your spacious bedroom, overlooking the distant horizon. InterContinental Marseille - Hotel Dieu is perfectly located overlooking the Vieux Port, adjacent to the oldest district in Marseille known as the Panier. The hotel is housed in a listed historical monument dating back to the 18th century and features a spectacular terrace, where you can relax while admiring the Vieux Port. Directly facing the open sea, the MUCEM's very location makes it a major development for the Mediterranean. Never before has a museum been exclusively dedicated to the cultures of the Mediterranean, despite their richness and diversity in terms of history and civilisation.